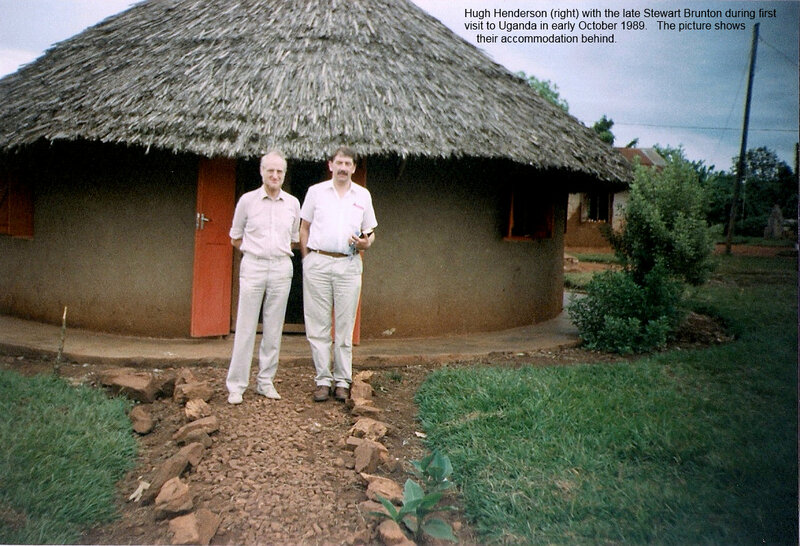 During October of 1989 Mission International director Hugh Henderson visited Uganda for the first time. The country had for a number of years descended into conflict from Churchill’s ‘Pearl of Africa’ and was emerging from a prolonged period of civil war and was in deep poverty. Hugh was approached by a young man who asked if would do something for him. In the short experience he had had of Africa Hugh imagined a list of items already requested during his trip so far. “Will you help me put my children through school”? “Can you help me build my house”?, and even one “Will you send me to America”?. All of these requests were pleas from a poor community whose desire for a new life out of this war-torn place was only to be expected. However, the request by this young man was to disarm Hugh and leave him virtually speechless. The young man asked selflessly “Will you become an ambassador for the poor”? Hugh, prepared for a negative answer knowing he could never meet the requests of all of these people positively, stumbled out a faltering “Yes OK I’ll do what I can” whilst at the same time choking back tears and the knowledge that God somehow had used this man to speak to him. The intervening years were studded with highs and lows as Hugh sought to fulfil God’s call on his life. This call to find ways of giving the poor a voice and of providing a means to help struggling families and communities get free of the poverty trap was entwined with the central call to reach the world for Jesus Christ. The call from Mark16:15 “Go into all the world and preach the Good News to all creation” makes up another central part of Mission International’s purpose. After serving with Christian organisations for many years, with a focus on mission in the developing world, specifically dealing with mission teams, Hugh and a few other Christian friends set up Mission International. The purpose of the organisation is three-fold; To preach the Good News as Jesus has commanded; to teach, train and disciple people for Jesus and to be Ambassadors for the Poor. Mission International is therefore dedicated to helping the poor as a central part of its make up.